There’s a fun — fun — thing you can do if you own and operate a website where you do something, like I said, fun with your 404 page — the page users reach when a server can’t find what was requested, like if you’ve typed in an incorrect URL or reached a dead link. Amazon’s 404 pages involve lots of puppies. (Which, added bonus, might make you temporarily forget the company’s questionable treatment of its workers and increasingly anti-labor stance.) 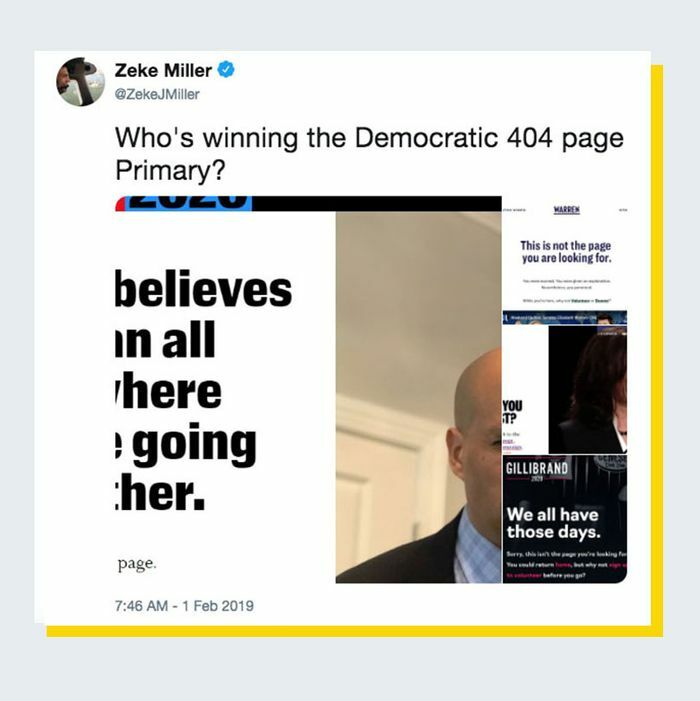 It seems the Democrats who have begun campaigning for the 2020 nomination have also caught on, as first spotted by AP reporter Zeke Miller on Twitter. 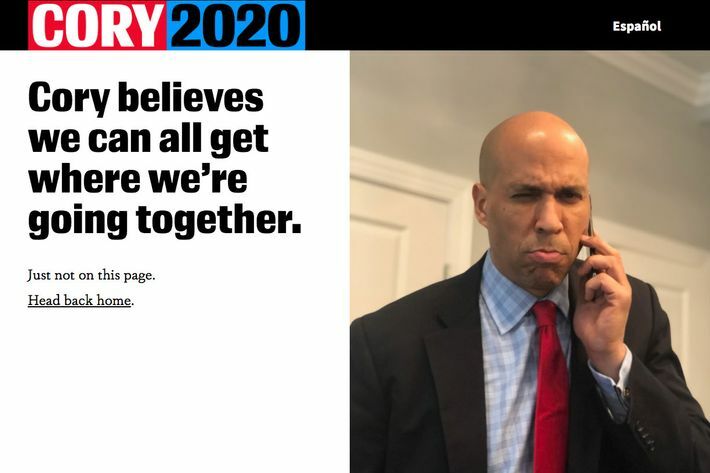 And here’s Cory Booker looking very faux serious holding a phone to his ear. 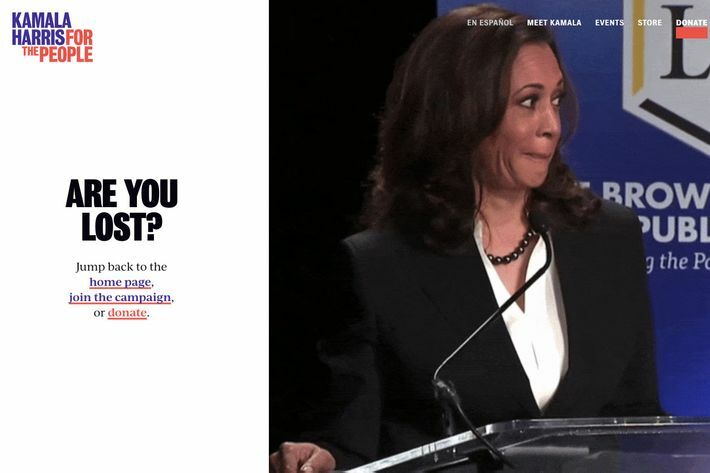 Politicians, they’re just like us! 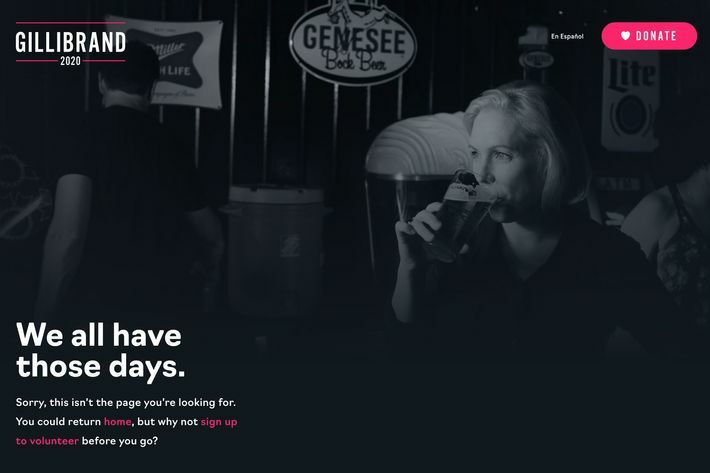 Kirsten Gillibrand’s 404 page shows her drinking a beer and having “one of those days.” Politicians, again, just like us! 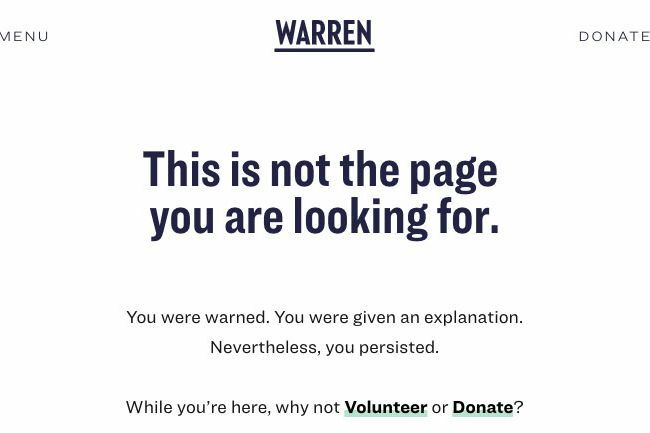 And, finally, Elizabeth Warren offers a riff on the “nevertheless she persisted” bit which, while already having been used to death, we will no doubt be subjected to ad naseum for many more months. There are 640 days till the election, folks.